Intricate white floral embroidery pops on this black cotton voile dress. Intricate white floral embroidery pops on this black cotton voile dress. 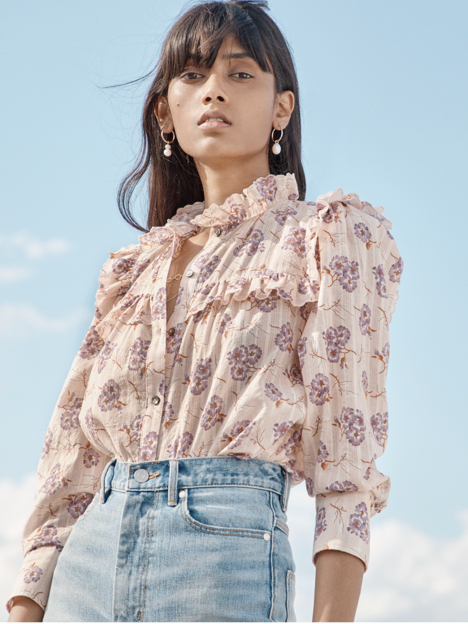 Its fluttery sleeves and scoop neckline define the bodice before meeting a fitted waistline and flared skirt for effortless style throughout the season.